The nation’s back in love with the wild flower meadow look, and that means this season’s all about naturalising bulbs like colchicums. 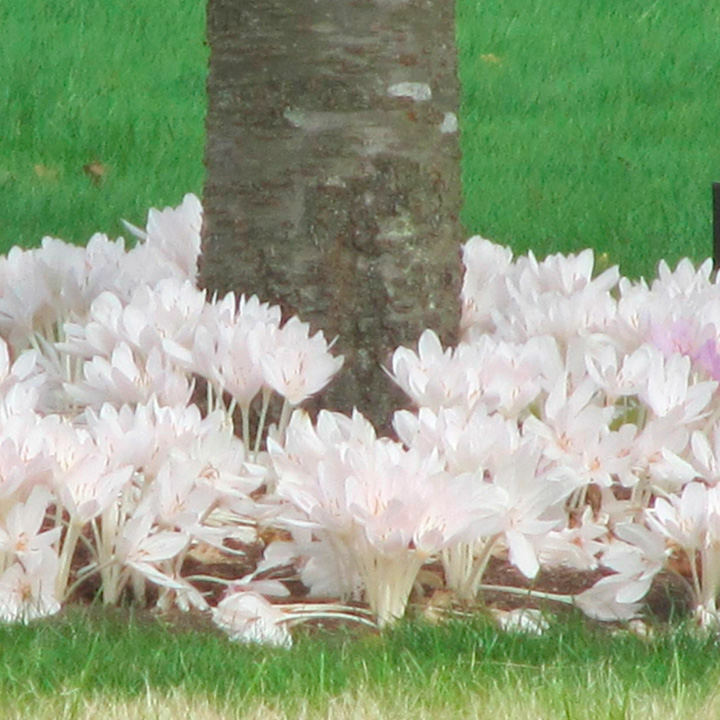 Colchicums bulbs are perfect additions to your wild garden, and they produce beautiful white, double blooms. You’ll enjoy bare-stemmed flowers for autumn followed by fleshy green leaves in springtime, and they’re gorgeous. If you prefer to enjoy them indoors, grow your colchicum bulbs in a shallow container indoors – you won’t even need any soil! Flowers September – November. Height up to 30cm. 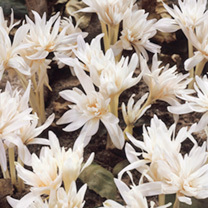 Autumnale Alboplenum - Big double white blooms - as many as 8 per bulb! Bulb size 13cm+. Choose a sheltered position in full sun or partial shade. Colchicums require a moist, well drained soil which is rich in organic matter. On heavy clay soils incorporate well rotted garden compost into the soil prior to planting. Plant the corms 8cm deep and 10-15cm apart. Flowers appear September to November followed by the leaves which are produced in spring. If they are grown in a shallow tray indoors, plant them in the garden as soon as the flowers start to fade.